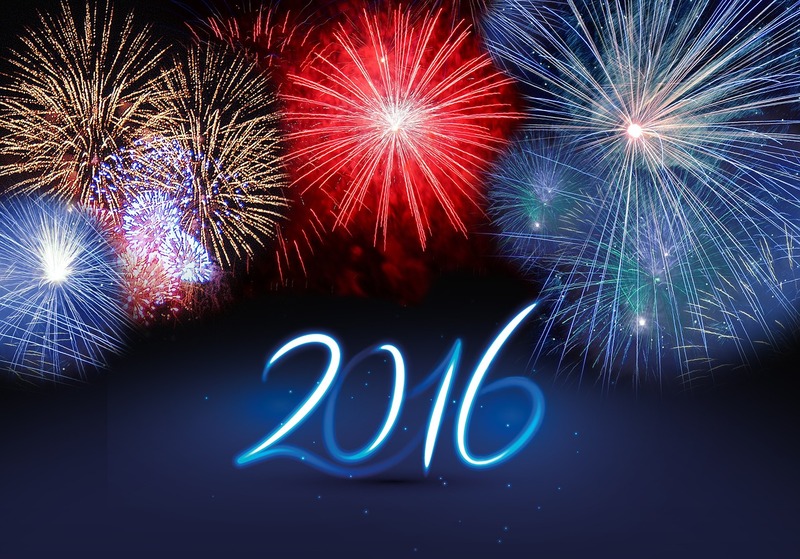 Goodbye 2015, and Hello 2016! Wow. What a year 2015 has been. I laid out a plan for myself back in April, and I think things are coming along rather nicely. Of course, I'm not even halfway through the Baker's Dozen Experiment, and completing that will be my main goal for 2016. So far, I've published 3 items, a total of 5 short stories in those publications. 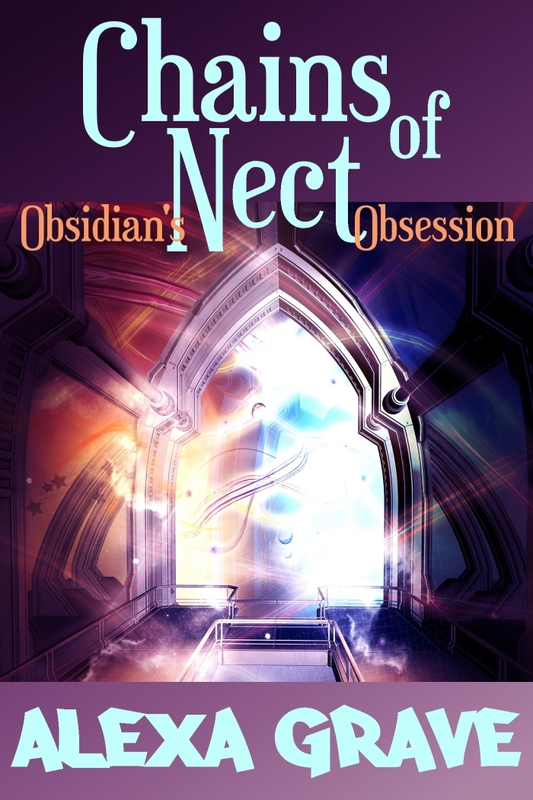 I've also posted 21 chapters of Chains of Nect to Wattpad and my blog. Here's hoping I can keep the momentum going through the next year. Of course, I had to sit down and reassess some things. The Baker's Dozen Experiment will continue, however, I've decided to pause my progress and posts on Chains of Nect. I have other projects that I feel need to be moved to the forefront, especially since my reception on Wattpad hasn't been strong. This doesn't mean I'm not willing to change my mind, if enough people request for me to continue Chains of Nect. Feel free to post here or use my contact form to request I continue it sooner rather than later. If enough people ask for it, I'll definitely shift things around! I will have one final chapter of Chains of Nect that will be posted to Wattpad on January 1, and subsequently posted to my blog on January 6. ❧ Blog once per week - stay tuned for The Adventures of Karriya the Wizard! So, here's hoping 2016 is as productive as 2015. May the toddler be an angel, the eldest child not whine, and the kittens become fat, lazy non-tree climbing cats. Oh, and the house self-clean itself. Too much to ask for? Nah, I don't think so (as I listen to the toddler freaking out at her older sister). Also, if you're a writer who would like some camaraderie while working toward monthly goals, please join us in the Writing Quest group on Facebook. I'm now running it as a group instead of separate monthly events, and anyone is welcome to join! 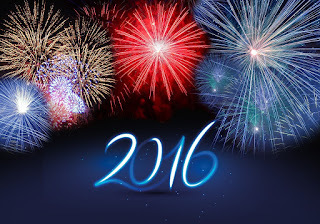 I hope everyone has a happy start to 2016. What are your hopes and dreams for the year to come? DISCLAIMER: This is rough draft material. Don't be surprised if you fall into plot holes, trip over inconsistencies, and get hit in the head with direction changes. I've done my best to read through several times before posting, though, to make sure most spelling and grammar errors are corrected. Any constructive comments are welcome for when I revise this novel. Thank you for reading! 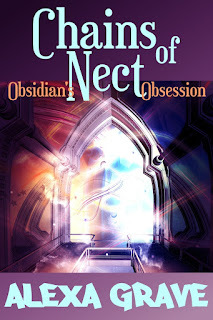 All current and previous chapters for Chains of Nect: Obsidian's Obsession can also be found on Wattpad. And for an easy to access list of all chapters that have been posted to Born to Write, please visit the Table of Contents. A new chapter is planned to be posted to Wattpad every Friday, and that chapter will then be posted on Born to Write on the Wednesday after. Bishop quickly dug through Damian's wardrobe once he had left. He was right, the T-shirt and pants he wore would be out of place. Damian's clothes were a bit tight on him, and the button-up shirt made him feel like he was suffocating, but they'd work. Then he slipped the book, the one with the rune of Turss shimmering on the cover, behind the books on one of the endless shelves. Not the best place to hide it, but he couldn't carry it around with him--he'd have more of a chance to lose it that way. Once that was done, he exited the room. It sounded as though some of the Guardians stirred, but he didn't see anyone. Carefully, he retraced his steps and walked back down the stairs to the entrance of the courtyard. He heard voices and ducked behind a pillar. Both Damian and Sid passed by, heading down the stairs. Probably talking about him, too. He didn't catch their words and they eventually disappeared down the hall. Maybe he should have waited to venture out in the evening. No, Damian would be in the room, likely, eyes on him. Now was the best time. He shouldn't dally in Nect longer than he needed to. Information, that was his main goal, and then finding a way to open the gate to report back to the Blink. Then they'd help him decide what to do next. And Damian had absentmindedly told Bishop which building housed the main library as they traveled to the room earlier. He'd find all the information he needed there, and it was easy to hide among the shelves, as long as he didn't stand out too much. Hence the clothes change. Before Bishop went back into the courtyard, he looked up at the mural above him. The thing was amazing, but old--even from this distance he saw peeling and chipping paint. Sad the Guardians hadn't kept it up. No matter the age, it solidified all the stories he'd been taught. One central world, a nexus of sorts, connecting to many other worlds, Turss a small blip. Clearly inconsequential with all of the other worlds that existed. What made this world so special? Why did the Ancients use this place as the anchor to all of the chains? Not like he could raise an Ancient from the dead and ask. Maybe he'd find the answer in the library. Bishop entered the courtyard, the rising sun making the array of gates look like a brilliant maze of arches. So many. He never imagined this many. And there was no telling if this was all of them. He guessed not. No reason to have all of the portals in one spot if there was a whole world to build them in. He wove around them, using them as hiding spots as needed when he saw a Guardian--he had no qualms about touching the things. The few Guardians he saw looked even more uptight than Damian. No, he definitely didn't want to get caught by them. Finally, he reached the library, but he strode past it. The Turss gate--he had to see if he could trigger the magic. The loss of the power felt as if he'd lost a limb. He entered the strange hill, now completely hidden from anyone who passed. Light filtered from the opening above--it looked as though a battle had been fought here. Blood stained the ground near the gate and a bit further away. Sid's and Damian's? Probably. He touched the portal, the stone arch still as cold as before. And again, he was just as disappointed. No magic, no call. A longing seized him, to be back home, tending to his flowers around the cabin, never having seen or sensed the two otherworlders. He'd allow the desire of the gate to wash over him, to follow him about his business. Somehow, feeling the pain of that desire was better than satiating it when it meant ending up on this side and severing himself from such senses. Well, he'd get back. He would. But not until he was finished here. So Bishop pulled himself away from the gate, reluctantly leaving it behind, promising the arch on the other side that he'd return for it. Then ducking a few Guardians, and what had to be dedicants in white robes, he entered the library. Three stories high, and a heck of a lot of books. Well, he had to start somewhere. Bishop wound his way to the top level, pulled a book off of a shelf, and started reading. Obsidian waited for the, "I told you so," from Damian. The fact that he was right wasn't what stung the most, but the feeling that Bishop's disappearance was a betrayal of sorts. She'd trusted him. No clue why, but she had. Oh, yes, she'd been a fool. Not only with her feelings toward Bishop, but also the stupid stuff that came out of her mouth when talking to Damian--she had felt like she needed to say something, and she had made a silly comment about visiting his room. Probably just Ama's words getting to her. Yes, a complete fool. No more. Never. Instead of accusing her, though, Damian tossed the food on his bed and threw open his wardrobe. "Quick, look for the book." "He probably took it with him." It was a waste of time to search, had to be. "Possibly." He poked through his hanging clothes, the shelf on top, and two drawers on the bottom. "Hm, he took some of my clothes. He's no idiot. What would be worse than us getting the book back?" Sid had to redeem herself, prove that she wasn't a complete ninny and able to form proper thoughts and ideas. "The other Guardians finding it." "And he knows that." He closed the wardrobe drawers and started to toss his bed, some of the fruit rolling off onto the floor. "He could have hid it elsewhere, to make sure we also wouldn't find it." That made more sense to her, but even she couldn't think of anywhere safer. She hadn't been in the House of Portals for long, and she still felt the best hiding place was somewhere close and easy to access--like under her dresser. "I guess that doesn't make much sense since he doesn't know the grounds well." She peeked under Damian's dresser. Not there. Guess he didn't think like she did. Damian ducked into the bathroom. She was reluctant to look inside the drawers--that felt like an invasion of privacy--so she moved onto the bookshelves. First, she skimmed the spines. What better way to hide something than in plain sight? Nothing popped out, though, and Damian moved out of the bathroom and started digging through his dresser drawers. "It has to be here." He growled. Such desperation--Bishop had sneaked off, that was all. That didn't mean he was about to burn the whole House of Portals down. And if he did, Damian should have been searching for him, not the book. All the books were arranged so neatly on the shelves, the spines of every single one right up to the edge. Sid carefully felt behind the books on each shelf, going right to left and bottom to top. She'd gone through most of the shelves, proud of her idea, but disappointed by the time she reached the last shelf, highest on the left. And then her fingers bumped into it. She stretched onto her tip-toes, trying to fish it out. Perhaps it was just a book of Damian's that had slipped behind the others, but if it wasn't she didn't want to ask Damian for help, even if he was taller. He'd never give her the book back. He'd noticed her struggling. Damn it. She grasped a corner, slowly pulled it up, then she lost her grip and it fell back with a thud. "You did. Watch out." Damian rolled up his sleeves and nudged her aside. Drat. But she didn't fight him. He wouldn't hand the thing over to the Council yet at least. Not until he made sure Bishop was back in Turss. And by then, perhaps she could convince him to let her have it back. Or at the very least to not give it to the other Guardians. He reached up and pulled the book out from behind the others. There it was, the rune for Turmoil, or Turss, emblazoned on the cover. He touched the script with hesitancy. "Yes." "If you give it to me, I can hide it where he can't get to it." The wandering eyebrow shot up above his glasses. "Oh, really?" He pressed the book to his chest. "I'm guessing somewhere in your room? Because you don't have many options for hiding places. Not only would it be risky for Ama or Enid to find it, but as a dedicant, you shouldn't have this anyway." It had been worth a try. "It is my book, you know. I'm the one who found it." "About that. Where exactly did you find it?" Oh, crud. Sid had to start considering the words she used more carefully. Again. Because she used to be fine--she'd hid everything and kept the secret of the book and gate for so long. Now, Damian--and Bishop, for that matter--had completely destroyed her composure and thought processes. She pulled herself up to her full height. "None of your business." "But it's completely my business. I'm a Guardian." No truer words. "Well, Mr. Guardian, shouldn't we be looking for the interloper? You know, to protect the House of Portals? Just because he doesn't have the book doesn't mean he can't cause havoc. If he's found, we're all in deep." Damian opened his mouth. Here it came, the scolding she probably deserved. Then he clamped his jaw shut, rummaged in his wardrobe again, producing a leather bag with a long strap, and shoved the book inside it. At least she'd managed to distract him from his line of questioning. She picked the fruit up from the floor and set it on the bare desk. Clearly she'd lost this round of Whose Book Is It Anyway. Right now, it was Damian's, punctuated by him throwing the strap of the bag over his neck so it rested against his chest. "Eat something," he said. "Then we head to the library. You'll study while I look for Bishop." "Wouldn't it be better if both of us were looking for him?" After all, two pairs of eyes were better than one, especially when one pair had to wear glasses to see well enough. He grabbed some bread and cheese from his bed and nibbled on both. "Yes, if you want to attract the attention of the other Guardians. You're a dedicant, and your job is to study, to learn the precepts and how to read the script." "Already got the latter down." In less than a day, even. Ha. At least it hadn't taken her a year. Damian glared at her. "Don't get smart with me. The Council would have a conniption if they found out you'd learned to read the runes so quickly. You know that. If you're off doing something other than studying, someone is going to question it. Especially if you're off by yourself. I at least have the ability to stick you in a study room and go about getting some of my own tasks done elsewhere without others questioning my actions." Damian one, Sid zero. Actually, he probably had more than one point, but who was counting? "All right. I'll be a good little dedicant and study for now. As long as you promise not to kill Bishop when you find him." She still felt responsible for him, and even though his slipping out hurt, she didn't want any harm to come to him. "I thought we already determined that I'm not capable of such things." Damian shoved the rest of the bread and cheese in his mouth. Once he finished chewing and swallowing, he said, "But no promises I won't drag him around by his hair a bit." Obsidian picked up an apple and chomped into it to stop herself from groaning. It would be a wonder if all three of them came out of all this alive. If the Guardians didn't get them, Damian and Bishop were sure to kill each other without even trying. Bishop entered Damian's room, not surprised that most of the personal items within consisted of books neatly lining several bookshelves. They were probably arranged alphabetically--or with some other complex system. No windows either. Claustrophobic. "Don't you ever want a little fresh air?" "That's what stepping outside is for." Damian opened his wardrobe and pulled down a pillow and blanket from the top shelf. "It was a window or a larger room, and I opted for the later. The bathroom is right through that door." He pointed to the only other way out. More room for all of his boring books. Bishop hoped those books would at least be somewhat useful, though he doubted Guardians were allowed to keep the important stuff in their own rooms. "Sorry, but you'll have to sleep on the floor," Damian said. "My bed isn't big enough for two of us, unless you'd like to get up close and personal." "You expect me to sleep right now? I'd much rather explore." Damian threw the pillow and blanket at Bishop. "There will be no exploring. You don't belong here, and anyone who sees you will know it. This House is only for Guardians and Dedicants, and you're neither." "I came all this way, though." This Guardian wouldn't stop him from poking around. He had to find something to help Turss, to take back and stop the wars, or to blackmail the Guardians. "And you agreed." "I agreed to bring you through the gate. Nothing more. You're here. Don't get comfortable." Damian pulled off his shoes, then slipped under his covers without changing, placing his back to Bishop. Mistake. You never wanted to show your back to someone who might just bury a knife in it. Too bad Bishop didn't have a knife--he should have taken the one Sid had offered. And Damian had nothing to worry about comfort. Bishop was far from comfortable. He missed the beat of the gate in the back of his mind, the hum of its call--he felt dead without it. And he didn't know how to get back, to open the gate on this side. Since he couldn't feel the power, he wondered if he could cast the spell, even if he could read the words in the book. The book. His heart had sunk when he looked at it and what Sid had said was true. He couldn't read any of the words, not even in the half where he found the information on Turss. That first half, though--his mind reached out for it, thirsting, wanting to learn how to piece it together. And he would learn. He wouldn't just lie here doing what Damian told him to do. Oh, no. He came here with the intent on taking a little back of what the Guardians had stolen. Or to gather enough information to help the others now surely gathering in Turss near the gate. Bishop tossed his pillow onto the floor next to the bed, tucking the book under it, and pulled the blanket over him. He was smart enough to face Damian, not expose himself to an attack. Then he waited for Damian to leave for the day, sleep the last thing within reach. Damian didn't want to look at Bishop, which is why he rolled over even though he didn't intend to sleep at all. If he saw the man, he'd have to acknowledge the horrible situation he was in. He had to get that book back. And he needed Obsidian's help to do it. Once he got her alone, he was sure he could convince her to see reason, to see the foolishness in all of this. They had to push Bishop back through the portal--keeping him here was too much of a risk. Damian wasn't sure he knew where he stood anymore with the precepts, with following them exactly like a proper Guardian ought to, but he did know he didn't want to be banished, stripped of all he'd known. He was a Guardian, one who'd stumbled, but having that taken away from him would destroy him. So, yes, he had to convince Obsidian. Especially with how she seemed to be taking to Bishop. Foolish girl. He wanted to see that powerful woman she had metamorphosed into in the courtyard the day he first met her. Not acting like some lovestruck adolescent. Damian threw his covers off. He couldn't just lay there doing nothing. He didn't really want to leave Bishop alone, but the inaction had him crawling out of his skin. He entered the bathroom and scrubbed off as much of the blood in his hairline as he could, then quickly changed clothes. It looked as though the stranger slept, eyes closed and mouth slightly parted, however Damian knew better. This man couldn't fake the heavy breathing of true sleep. "They'll be serving breakfast soon. I'll bring you something." Perhaps that would keep him in the room, knowing that he'd be checked in on shortly. Damian exited the room. It was actually still too early for breakfast, most of the House just waking up, or still fast asleep in their beds if they were smart. First, he circled his floor, hoping the exercise would burn off some of the crazy energy inside of him. It failed to do so--pacing the halls was still a form of inaction because what he needed to act on was removing Bishop from the House of Portals, from all of Nect. He didn't belong here. So, he climbed the stairs to the next floor and stood in front of Obsidian's door, about to knock. "You know, you ought not play games with that girl," a woman said from behind him. He jumped then spun. "And you are?" She beamed at him and offered a hand. "Ama. Sid's roommate." He reluctantly shook her hand. "What games?" If anyone was playing games it was Obsidian--she still had secrets buried, and he knew it. But uncovering those would have to wait until Bishop was safely back in Turss. Ama giggled. "Men." She opened the door. "Sid, you have a visitor." "How can anyone get any sleep with all of this racket? I can't wait until I'm a full Guardian and have my own room." A scowling blonde pushed past him and went into the bathroom. "Don't mind, Enid," Ama said. "She's just dedicated." More like perfect Guardian material. Sid had mentioned a roommate was having difficulty with the script. Sadly, it was probably Ama--not many Guardians offered smiles so generously around here. Sid approached the door, hair a knotted mess. "A little early. Those two may be awake, but I haven't slept a wink." She offered a level stare, as if trying to remind him how much they had recently been through. As if he could forget. "Unfortunately, we have things to discuss. Things that can't wait." She sighed. "Fine. Give me a few minutes." She slammed the door in his face. Truly, if he could allow her to sleep for a week after the ordeal they'd been through, he would. Not only did they have Bishop to deal with, but they needed to make sure that their actions weren't too different from usual. No mentor would allow a dedicant to take a week off--even a couple of days was out of character. After some time, she emerged from the room, her dedicant robes hiding the cut on her arm. Damian pointed at her head. "Did you forget something?" Her hair was still a rat's nest. "If it's so urgent to discuss things, I figured you'd rather me not take the next fifteen minutes trying to comb through this mess. After last night though, I think cutting it off might be the wiser option." No, she couldn't cut it. She was joking, right? She laughed. "The look on your face." Then she did some weird twist with her hair and pinned it up with the same hair pins that had etched script in both the grounds of Nect and Turss. It still looked disheveled, but less so. "After you." They walked down the hall side-by-side. Once they reached the stairs, he thought it safe enough to talk, not many people in earshot, though more dedicants and Guardians were in and out of rooms and bathrooms. "We need to get the book back from Bishop." "So eager to send him back?" Seriously, she couldn't think that he should stay here. "Of course he needs to go back. There's nothing here for him. Except trouble--for him and us." "Well, perhaps we should first find out why he wanted to come with us." Her head was in the clouds, that was the only explanation he had. "Isn't that clear? He wants to find something to sabotage the Guardians. Or he could even be here to kill everyone." Sid stopped halfway down the stairs and he halted a few steps below her. "You can't think he's that cruel and devious. He did save us." "That's just because he needed us to get here, to gain knowledge." She planted her fists on her hips. "If you're so sure that he has horrible plans, then why didn't you let go of him when we were crossing through?" He looked down the stairs. "I couldn't. I just couldn't do it." "Oh, Damian." She placed a hand on his shoulder. Her touch sent shivers down his arm, and something sparked deep inside of him. At least she no longer thought him a wretched person for considering killing someone. At least he hoped not. He continued down the stairs, disengaging from her touch. "No matter what you think his intentions might be, he can't stay here. It's not safe for any of us." Sid caught up to him once they reached the bottom floor. "Then let's grab something to eat for all of us and talk to him. See what he wants here. And after that, then we can convince him to return home." Finally, she spoke some sense. They made their way to the cafeteria and grabbed what they could--fruit, bread, some cheese. The hot food hadn't been prepared yet. Damian snagged two extra glasses for water since he only had one in his room for himself. Then they wound their way back up to his room. "I never thought I'd get to see your room like this," she said. "What?" Why were the women saying such confusing things this morning? Or he was just too drained, physically and mentally, to comprehend any of it. "Never mind." She shook her head. "See, we'll have a nice meal together and figure things out. Shouldn't be too hard." Hoping Obsidian was right, Damian opened the door to his room. But Bishop was no longer there. Tales of Chyraine released yesterday! It includes two stories, "This Is Where I Stand" and "Cold, Oh So Cold." 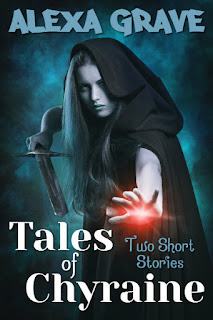 Right now, it's available via Amazon, and like the last two releases, you can read it for free using Kindle Unlimited or the Kindle Owners' Lending Library. If you're interested in a snippet from "Cold, Oh So Cold," I'll be sending one out in my Newsletter tomorrow - so Sign Up Now if you haven't yet! But I won't leave you completely hanging. Here's a bit from "This Is Where I Stand." This is where I stand: in the kingdom of Ambrosia, within the palace, in my spacious yet suffocating room, before an open window which faces northwest. A broadsword rests on the stone windowsill, my sword, once my father's sword. My hands are upon the steel blade. I can just see over the palace walls, beyond to the rolling hills dotted with wildflowers and groves of trees. This is where I wish to stand: further northwest, over the wall, beyond the moat, across the hills, and through the trees, where lies an invisible line with the forests Destiny to the east and Feargate to the west. My spirit brushes the trees that tower over the passage and shadows that line, into the kingdom of Trugor. But that desire is irrelevant, for I am the Queen in Waiting, the one of all the young female warriors of Ambrosia to emerge victorious in competition. Sometimes I ponder what the waiting means. Waiting to become Queen, waiting to be recognized, waiting to have all the weight of a kingdom's people on my shoulders, hanging on my every word and trusting me implicitly... waiting for the old Queen to die. And in turn, one day another Queen in Waiting will be waiting for me to die, when I'm old and wrinkled, and the people cry out for fresh blood. A warrior torn between obligation and desire. Zenya fought for and won the right to be Ambrosia's next queen. Now, she waits for the current queen to die and she finds the honor her aunt forced her into is instead a burden. She longs for her childhood home, Trugor, where magic drifts on the winds and infuses every blade of grass. Those in Ambrosia think magic an abomination. If the reigning queen discovers Zenya's heritage and thoughts, a quick death might follow. Possibly that would be the kinder fate, since her desire to return home and breathe in the magic consumes her. How can Zenya rule a people she despises? Hearts of men as frozen as the kingdoms they live in. Hear the static of a radio? Feel the chill sink into your bones and refuse to leave? Then you must be in the three Ice Kingdoms of Chyraine. No matter where you turn, the icicles can be seen forming in the hearts and minds of all the inhabitants. Or being driven into their backs and throats by their enemies. Damian couldn't do it. He hadn't fully wanted to do it in the first place, but when Bishop had said those words, he just couldn't leave him in that icy wasteland. Even if it wasn't a sure death, no one deserved to wander that cold for the rest of their existence. His conscience was going to get them all killed, though. He'd have to think of something else to get Bishop back to his own world, sooner rather than later. First, he had to get the book. "Looks like the time difference worked in our favor," Damian said. "It's only a few minutes past the shift." "Amazing." Obsidian plucked the candle from the well and shoved it in that hidden pocket of hers--it must have gone out on its own when they passed through the first time. "I'd love to explore more of Turss to see more of the differences." She never learned. Damian had to make sure she didn't wander off the proper path again. Even if he wasn't sure what exactly that path was anymore. "Sorry," she said. "You know, if that eyebrow of yours climbs up any higher, it's going to get stuck like that." Damian wanted to slap her and laugh at the same time. He restrained himself from doing either and ignored her statement instead. "Please hand over the book, Bishop." The man barked a laugh. "I don't think so. I'm guessing holding onto this would be in my best interest, if I want to keep my hide." Obsidian put her hands on her hips. "It's not like you'll be able to read any of it, anyhow. Holding it hostage will do you no good." She stepped closer to Bishop. "Be smart and hand it over to me, though. Not him." Bishop cracked the book open and furiously paged through it. "You're right, I can't read any of it. How is that possible?" "Whether I can read it or not, I think I'll still keep it." His mischievous grin was unnerving. Damian should have let go when Bishop almost lost his grip. That would have been so much simpler. Then the book could also be lost in the ether, and all of his problems would have been solved. No, he had to feel bad about killing someone. Make his like more difficult. Well, trying to get the book now wasn't going to happen, and they were wasting time arguing. "We need to get out of here before anyone else wakes up and finds us. We'll deal with the book later." And here was yet another horrible decision. How to hide Bishop. Only one option for now. "Bishop, you can stay in my room for now." "I'd rather go with Sid." Oh, yes, that was just what they needed, Sid falling all over this outsider and losing her head even more. "She has roommates, who would notice you. I, on the other hand, have my own quarters. No one but me enters." "No one? Kind of lonely." He snickered. Hypocrite. "Something I'm sure you're already plenty familiar with and used to." "If we're going to go, let's." Sid slipped through the gap in the misshapen hill, differently formed than before they entered the gate to avoid the shift. Damian and Bishop trailed after. "Bless the All-Seeing Eye," Bishop said. He'd stopped just outside the gap. Damian forced himself to stop as well. This interloper was his responsibility, and he couldn't leave him behind. "Problem?" "See you tomorrow, boys. I'm heading back to my room." It seemed Sid couldn't get away from them fast enough. Guess it was the only option now that she didn't have the book to help her through another gate. She wove around the portals which soon blocked her from view. "So many gates. I mean, I knew there were other worlds, but I couldn't have imagined this many. And so close together." Small mind, then. "You did force us to bring you straight into the Guardian compound." He considered warning Bishop about the shifts at night. But if this man decided to poke around where he ought not, he deserved anything he got. At least if he got sliced in two by a shifting portal, Damian couldn't be directly held accountable for his death. He still felt kind of slimy for holding back, though--and the thought of Sid's disapproving glare over his thoughts. Perhaps he should just mention it. "How many Guardians are we talking about?" "I never counted. A couple of hundred, at least." Bishop whistled. "Guess we better be off so you can hide me then." He walked forward in the direction Sid had gone, clearly expecting Damian to follow. Keeping this man hidden would be a difficult task, indeed. Damian had a feeling he'd refuse to stay put. Obsidian tip-toed into her room, careful not to wake Ama and Enid. Thankfully they both seemed to be heavy sleepers. She undressed, bandaged the cut on her arm the best she could, then crawled completely under her covers. She wanted to sleep for a week. But the magic wouldn't allow her. Right when she had stepped back into Nect, the power had washed over her again. And the Turmoil gate struck up its call once she looked up at the script. It beat a rhythm in her head almost similar to the sensation she had felt when she touched the chain in Turss. It wanted her to open it again, step through. Sid covered her head with her pillow, but that didn't lessen the tug. No, she wouldn't let it take over her mind again--she had to gain control, maintain it. Not like she could go back through, anyhow. She didn't quite remember all of the strokes needed to etch the proper words in the dirt, and her mind hadn't retained the exact ones she needed to speak as well. She was horrible at memorizing most things to begin with, but when she pictured the writing in the book, the edges of everything were fuzzy. She dug her fingers into the pillow, stopping herself before she ripped it open. The last thing she needed was to have to explain why there were feathers all over her part of the room. 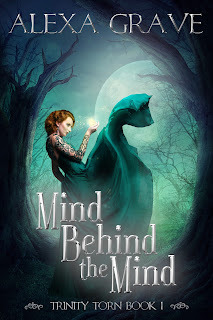 Not only was the magic tugging at her mind, insisting she listen to it, to save Turss from whatever turmoil the portal was so labeled for, she didn't know what to do about Damian or Bishop. Damian had insisted Bishop should be left behind, but he hadn't actually let go of him. Had Bishop hung on tight enough, over-powered Damian? It hadn't seemed that way once they had finished the crossing. Damian would have been angrier than he already was. Perhaps he hadn't wanted to lose the book as well. Who knew what was going on in that mind of his. Not her, that's for sure. And Bishop. She had to get control of her feelings around him. There was no reason for her to be simpering, and that was all she could label it as. She didn't know him, even though he'd saved her. He also tricked them into taking him with them on their return trip. She knew what was going on in Bishop's mind even less than Damian's. The biggest problem--this entire mess was her fault. It was probably good she didn't have the book back. There was no saying what she'd do if she had it. Perhaps she'd completely fall off the horse and go on a rampage of opening all of the gates in the courtyard, letting unknown horrors step into Nect. Or her body would snap under all the pressure and she'd jump out her window, bludgeoned to death by a gate as she fell. That would be a fitting death. Especially since a gate dragged her onto this path in the first place. "Sid, are you okay?" Ama, sweet Ama. She must have woken her with all the thrashing. Sid peeked from underneath her pillow. "Just dealing with a bit of inner conflict." Ama rolled to her side. "Ah. I was wondering why you weren't in bed when I got back to the room. Is it about your mentor, Damian? Have you been sneaking off with him for other things other than studying?" All Sid could do was offer a dumb-founded look. At least she assumed it was dumb-founded because this was the last thing she thought anyone would speculate. True, it was better than thinking she found a book detailing the opening of gates, then actually opening a portal, walking through it, and finally coming back with an other-worlder in tow. "Well?" Ama asked. "Don't leave me in the dark." The rising sun filtered into the room, accentuating her smile. "Um." What in the Ancients could she say? "Yes. I've been sneaking off with Damian. But nothing has happened. I swear. We've just watched the gates in the courtyard shift a couple of times. Under the stars." Just saying the words made acid rise into her throat. All this girl stuff was not her thing, not at all. "I don't think he feels the same for me as I do for him, though." Ama's smile transformed from eager to knowing. "Give him time." She threw off her covers and slipped out to the bathroom. Obsidian ducked back under her pillow. Give Damian time. Ha. Should she give Bishop time too? Her heart thudded in her brain, right alongside the throb of the magic. Bishop wove his way through the grasses, the two Guardians keeping close behind him, knowing exactly how he'd play things once he reached Nect. Not things, no, but Obsidian. She had a thing for him, and aside from the flush of her cheeks when he was close to her, the warning she had offered him only confirmed his suspicions. Damian planned to cut ties with Bishop, abandon him to the abyss of the portal. Not that he was surprised. Deception was expected from a Guardian--that's what they were best at. Sid's reaction, though--now that hadn't been expected. Good thing he'd saved her. Soon enough, he'd have her doing things for him that she'd never dreamed of. Betraying all the other Guardians for a start. Not that he was an expert at manipulating women. His studies had kept him from any real social interaction, aside from his tutors. They'd plucked him from his family young. That was the best way to build and nurture magic--start early. That wouldn't stop him from playing Sid like a piano. Or at least trying. They stepped up to the edge of the abyss. Though Bishop couldn't see the gate due to the fog and darkness, he heard it. It sang out to him, caressing him with its song. Open me. Enter me. Make me live. Gladly. And he finally had the tools to grant its wish. "No crawling this time," he said. "Be confident. Walk across as though you own the chain. That shouldn't be too hard for a couple of Guardians." "So you've told me." Damian was a man who preferred to conform to rules, set guidelines. No wonder why he didn't want Bishop to cross through. "You first." Damian leveled a stare at him that would curdle most people's insides. Bishop wasn't most people. "Fine." He strode out onto the first link, not even lifting his arms for balance. Bishop had to admit the Guardian had courage. Or he was just stubborn and wanted to show off for Sid. "You next, Not Yet a Guardian." He offered his hand. "I'll be right behind you, to keep you safe." Sid looked at his hand and her lips twisted as if she'd bitten into a lemon, then walked passed him and onto the chain, following close behind Damian's methodical footsteps. Maybe he had been wrong about her, read the signs wrong. Or he'd have to change tactics on how he addressed her. That had to be it--something distasteful had come out of his mouth. No more pointing out her weaknesses. He'd try that. The chain's heartbeat vibrated under Bishop's feet, quickening as he traversed it. The thing loved him. If he asked nicely, he could probably convince it to knock Damian off. Take care of him first. Unfortunately, that would likely turn Sid against him. And if she wasn't a full Guardian yet, it might prove difficult once they reached the other side. No, he needed Damian. He'd just have to be extra careful. And like Sid had said, hold on tight. They all crossed safely without a tiny rumble from the chain. Sid's body relaxed when she looked up at the gate. No matter how she had acted, clearly she had been terrified to venture onto the links again. He wondered if she felt the same pull that he did. And here, right in front of the portal with Nexus scrawled in ancient script at its pinnacle, the yearning enveloped him, as thick as the fog they had passed through. For once, he could fulfill that desire. Bishop walked up to the gate and stroked the arch, the magic twirling around his finger and winding up his arm. Oh, how wonderful it would feel to open it, to experience its full power coursing through him. "You think you own the gate now?" He should have shoved the Guardian off of the chain. "No. But old habits die hard." Damian placed the lantern in the well beneath the arch. "When you've been taught to touch a portal is the worst punishable action, even greater than murder, seeing someone touch it evokes a certain response." A law forbidding people to touch the gates. What had happened to cause the Guardians to act so drastically? Bishop knew there were other worlds out there aside from Turss and Nect, but he had never imagined the Guardians had ceased to visit all those worlds. Can't plunder if you remain on your own ship. "Take us home, Bishop," Sid said. Her voice was quiet, almost a whisper, as if all the energy had been sapped out of her. "As you wish." He removed the unicorn hairs from his pocket and twined them around the lantern. Then he flicked it on, the light casting ominous shadows around the portal. He had made the correct choice, right? Those shadows looked as if they would leap up and sink their teeth into him. All in his head. This was what he'd wanted ever since he first laid eyes on the gate. And it would be grand to go to Nect and return a hero. He had turned the phone off immediately after pressing send, tucking it back under his pillow. To risk detection from Damian and Sid, that's what he'd told himself. But he knew he didn't want to see the response, to possibly see the order to stand down and hand over the Guardians and book to the Sect. They wouldn't take away his glory, or his chance to open the gate. Bishop jolted out of his thoughts, realizing he stood there with his hand on the lantern switch. "Yes, fine." He turned to her. "A hair pin, please?" "Give me some space while I do this." They both backed up. "Just don't hit me on the head with the book," Damian said. "What?" But when he glanced at them and saw the intensity of Sid's glare at Damian, he realized the statement was clearly a jab at her. That must have been how he had gotten the dried blood in his hairline. What he would have given to know exactly what events unfolded to lead to their arrival in Turss. Bishop shook his head and put the two of them out of his mind. He needed to concentrate, no distractions or interruptions, or this spell wouldn't take hold, and the poor portal would weep and moan at him more than it already did. First, he wet his fingers with spit and turned a small amount of dirt into mud. With this, he wrote the symbol for Nexus on the outside of the lantern, making the shadows it cast look even stranger. Then he knelt and carefully drew the words in the dirt right before the gate, each stroke perfect. With the correct completion of each word, he felt a jolt at the tips of his fingers through the pin. The power of the magic made him giddy, but he needed to keep his emotions in check, or it would all fall flat. And if it did, that loss of magic right when he was on the edge of glory would rip his heart out. The final stroke, and the pin in his hand trembled. Now to solidify the script. This had to be perfect as well. He squeezed the book under his arm, hoping he could handle the onslaught of magic as he completed the spell. A spell that only Guardians had been allowed to cast until now. Did the two behind him realize that? Damian would have a stroke if he knew he allowed another rule to be broken. He stood, careful not to mar the words he'd just painstakingly etched in the ground. "A single chain connects to the next world. And that world pulls all chains toward it." As he spoke the words, the gate's song grew, a beautiful aria, a long note crescendoing, waiting for the next. "Turss beckons, forever an appendage, a part of the whole." The next note hit a pitch so high that he thought his ears bled, but when he touched one, there was nothing there. If he wanted peaceful music, he had to finish. Not as if he knew much about peace, though. Not in Turss. "The life of one world feeds the life of all. But the life of the one I call to must flourish, lest all the other worlds die." The note pierced his brain and the portal begged him to finish it, to end its pain, push it over the edge. One more word. "Nexus." And the gate's song struck ecstasy. The ground rumbled beneath Bishop's feet, a wall of magic slamming into him, both things causing him to stumble backward. A small swirl of fire started in the center, then expanded until it reached the edges, a glorious whirlwind. He wanted to feel this power forever, to bathe in its flow, its pounding against his body. But he knew that wasn't possible, not if he still planned to become a hero. The portal couldn't remain open forever, though it was the one thing he was taught to do, to desire. Someone had to pass through, from either side. And when that happened, it would close, and the magic would be gone. "Time to go," Damian said, approaching Bishop. No, a moment longer. He wanted to bask in the power. Did this stupid Guardian not feel it? Or maybe he just didn't care. Damian offered Bishop his hand. "We need to be connected." Bishop's goal and immediate danger snapped back into his mind, pushing away the magic he'd happily drown in if he was allowed to. He needed to hold onto Sid, not this fool, but he found himself accepting the offered hand. Let this Guardian try to kill him. "May we all pass through the fire unscathed." For a long minute, Damian met his gaze. Something deep in his eyes seemed to falter, a quick pulling together of his eyebrows, wrinkling the spot between them. So brief that when it was gone, Bishop wasn't sure if he'd actually seen it or not. "You first, Obsidian." Damian grabbed her hand when it looked like she was about to protest. "We need to go before someone on the other side notices the gate is open." Sid sighed, retrieved the pin from Bishop, tucking it into a pocket inside her cloak, then walked toward the swirling flames. They all followed, links, just like the chain. Bishop whipped his head around for one last glance of his fog covered world. "I'll be back," he muttered. Then held tight as he plunged into the fire. The sudden cold shocked him, his instant reaction loosening his hold on Damian. That was it, the Guardian would take advantage of this misstep, and Bishop would be lost in this wintry in between forever. Instead, Damian squeezed tighter, his fingernails digging into Bishop's flesh. And then the cold subsided, only the normal feel of night air touched his skin. Now, Damian released him. They were all safe on the other side. Bishop watched the Guardian, who was looking around and above, then bending over to touch the ground. Either Damian had changed his mind about releasing Bishop or Sid had lied to him. He wasn't sure why the former would be true--an added mystery to the last couple of hours of new experiences. But if it was the latter, it was possible Sid had tried to fool him, to get him to think she was enamored with him. Clearly he needed to reconsider the possible machinations going on inside her head. He'd assumed she was harmless. With the magic flowing inside of her though, there could be a lot more to her than he realized. Speaking of magic, he turned to the gate, watching the swirling fire dissipate down to nothing. That's all he could do, though, was watch. He felt nothing. Not even a hint of power. And once the portal completely closed, all it was to him was a stone arch--it didn't call to him like it had in his world. Not a single note. The song had ended. That loss raked Bishop's chest. He looked up at the script over the gate, the one that clearly said Turss, and he wondered if losing the call of the magic was worth becoming a hero. I figured I'd post one update at least. I had wanted to do more, but too many other things seemed to take precedence. Anyway, NaNoWriMo 2015 is now over. Amazingly, I didn't come down with my usual NaNo Cold (maybe getting sick so much the couple of months before had something to do with it). And nothing major stopped me in my tracks. I definitely realized early on, though, that 50k was not going to happen with a toddler at my heels. I figured that would be the case. Heck, I'd rather be napping with her right now, I'm just utterly exhausted. So, right, no 50k. However, I did reach 20k! I burned through almost 3k yesterday, just so I could hit the 20k mark at least. OK, it's not the hopeful 25k (though it was close), however, it's over 5k more than I ever managed to write for NaNo in previous years. I feel accomplished. And even though I didn't hit 50k, I am not a NaNo Failure. I completed two short stories as well as adding a bunch of words to Chains of Nect. Of course, the words don't stop flowing because NaNoWriMo is over. Nope. Got to keep chugging along!